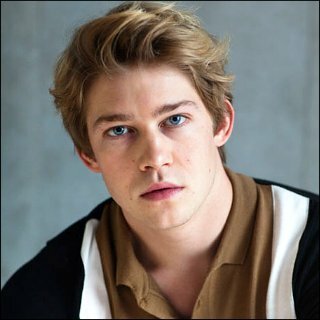 Joe Alwyn is a British actor. He is best known for his role as Billy Lynn in the 2016 war drama Billy Lynn’s Long Halftime Walk. He played a supporting role of Adrian Finn in the 2017 British-American mystery drama film The Sense of an Ending. Joe has also appeared in such films as Operation Finale (2018), Boy Erased (2018), The Favourite (2018), Mary Queen of Scots (2018), and Waiting for the Barbarians (2019). Born Joseph Matthew Alwyn on February 21, 1991 in London, England, to a psychotherapist mother, Elizabeth Alwyn, and a documentary filmmaker father, Richard Alwyn, Joe grew up in the Crouch End/Tufnell Park area of London, and attended the City of London School. He studied English literature and drama at University of Bristol, and graduated in 2012. He graduated from the Royal Central School of Speech & Drama with a BA in acting. In early 2017, Joe began dating American singer-songwriter Taylor Swift. *He was born on February 21, 1991 in North London, England. *His mother is a psychotherapist, and his father is a documentary filmmaker. *He was a member of the National Youth Theatre in his late teens. *His great-grandfather, William Alwyn, was a composer, conductor, and music teacher. *His great-uncle, Bruce Kent, is a political activist and former Roman Catholic priest.